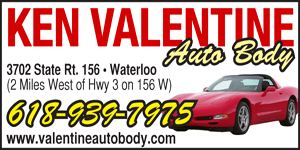 Defending Class 1A state runner-up Valmeyer is off to a perfect start and a senior-led Columbia squad swept a Saturday doubleheader to go to 2-2 in early spring baseball action. The Pirates won 6-3 at Carlyle on Friday, as senior catcher Tyler Kempfer went 2-for-4 with a double and two RBIs. Fellow senior Cole Juelfs struck out four over four innings for the mound victory. 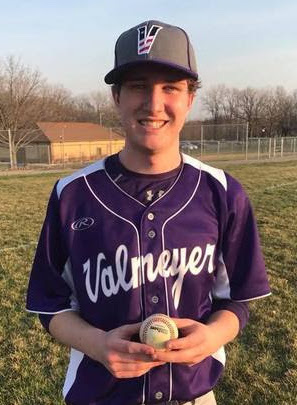 Valmeyer sophomore southpaw Philip Reinhardt threw a complete-game no-hitter in a 3-0 win at Steeleville on Thursday. Reinhardt struck out eight and walked just two in the victory. He also collected two hits and an RBI at the plate. Freshman Jacob Rowold collected his first varsity hit and made a great catch in the outfield to preserve Reinhardt’s no-hitter. On Wednesday, the Pirates defeated Gibault, 9-4. Drew Maus struck out five in four innings on the mound and went 3-for-3 with two RBIs to lead Valmeyer (4-0), which hosts Wood River on Monday. Gibault’s Tim Reinholz smacked a grand slam home run late in the game. The Eagles won 9-7 and 13-3 in a doubleheader sweep of Piasa Southwestern at home on Saturday. Sam Spivey, AJ Mueller, Brandon Kuchinski and Mitch Daniels collected two hits each in game one. Shane Wilhelm went 4-for-4 and Jake Heller added two hits in the game two blowout. Columbia opened the season with losses against baseball powerhouses Chatham-Glenwood and Edwardsville. The Eagles fell 6-4 in nine innings Wednesday against Chatham-Glenwood, followed by a 4-1 defeat at Edwardsville on Thursday. Wilhelm smacked two hits for Columbia in Wednesday’s loss. Spivey had an RBI double on Thursday for the Eagles, who play at O’Fallon on Tuesday. Gibault (1-2) split a Saturday doubleheader, defeating Roxana but falling to Jerseyville. Mitch Nolan picked up the win on the mound and Josh Papenberg delivered a clutch seventh inning double in the 8-6 victory over Roxana. Cam Kincheloe continued his strong offensive start to the season as well. The Hawks host New Athens on Monday.